1. Why do I start this webpage? 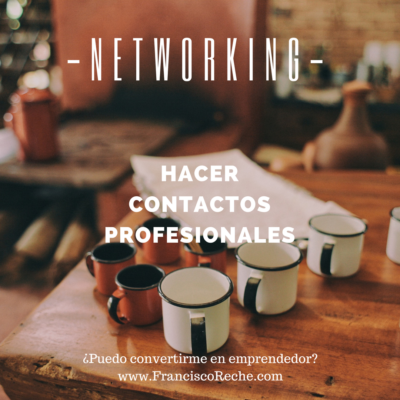 I start this first post by referring to the question that appears on my website: can I become an entrepreneur? It is a question that reflects the main theme with which I want to start building this webpage. I never considered it of myself. I want to make sure that I work on improving some skills that otherwise might slow me down in this challenge. Try to develop a kind of guide for those who, like me, intend to become entrepreneurs and find themselves totally lost and without knowing where to start. As I write in the section “About me“, after leaving my job in Rome I arrived in Malaga, where I attended diverse initiatives and courses and asked for advice in several public bodies. 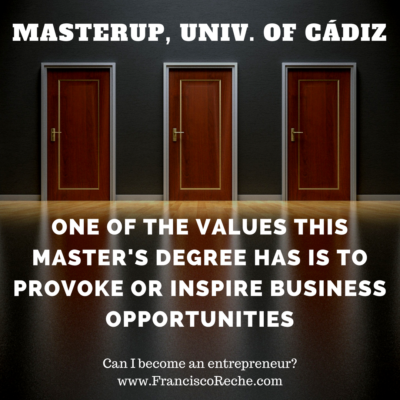 I could take a master’s degree in entrepreneurship (MasterUp) at the University of Cádiz (paying only a small fee, since I was a collaborator student at the university for two years), but my fear was that it could end up being too academic. At the end, I decided to join the master’s degree and, after just a few weeks (we are actually in the second week of face-to-face classes), I am certainly happy with the choice. While in Malaga I was missing having someone to turn to who would get involved with me in this journey (the public bodies in which I asked for advice would normally show you a business plan form to fill out and not much more), I see that this master’s degree can be very useful since we have a large number of professionals available to help us and guide us when working on each of the sections a business plan has, a business plan that we will be developing throughout the course. On the other hand, even if we just had two weeks of face-to-face classes so far, we are getting to know many people involved in the entrepreneurial ecosystem, something that can be very helpful in becoming an entrepreneur (actually, one of the strong points this master’s degree is proud of is being able to provide an extensive network of contacts). 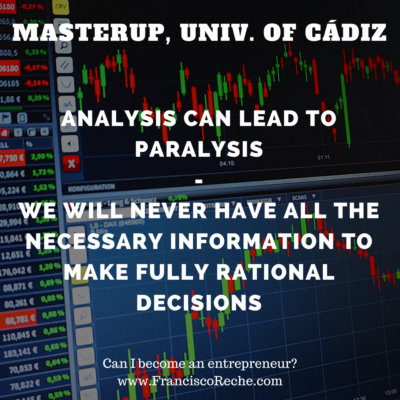 So, while I have just started this master’s degree, I intend to tell you the steps I’m taking to become an entrepreneur in case someone out there with the same objective can find it useful. Also, on a personal basis, I hope that “forcing” myself to have some sort of online journal about my entrepreneurial experience not only will help me have more discipline, but will also force me to learn how to manage this website, how to create my own personal brand, or carry out the famous networking that is so much talked about lately. I hope this will become useful for you and for me. And of course, if you have any suggestions, please write them in the comments section. Even if I have felt tremendously illiterate, digitally speaking, during the many months I’ve been trying to launch this webpage, I will try to incorporate them in the best way I can. A big hug to you and, thanks for reading!